We have several opportunities for volunteers. 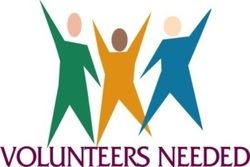 If you would like to volunteer please fill out and submit the form below. Someone will be in contact with you within a few days! Contact us for more information.